Jewel has lived in her brothers shadow all her life. On the day he died the only people not out looking for Bird were Jewel’s mother and granny… but that was because the day Bird died was the day Jewel was born. now Jewel has to live with her grumpy Grandpa who doesn’t speak and her parents who barely even notice her. No one notices her, until she meets a strange boy climbing her tree, the tree she uses to get away from everyone. This boy wants to get to know her, be her friend, and teach her things she doesn’t know. His name is John, and his arrival stirs everything up for Jewel. This book is incredible. With the powerful first paragraph, which I unfortunately have had to cut short in my wrote above,it grips you and it doesn’t let go. There are strange goings on in Jewel’s secluded little town and in the summer Bird takes place, she finds out more about herself and her life than she ever imagined she would… and I loved every second. The story is powerful but its partly because of the setting and the history of the characters. The story wouldn’t have worked if it wasn’t in such a secluded town full of gossip and if Jewel’s family history wasn’t as diverse as it was. She lives in a town where people still believe races shouldn’t mix and that different cultures are weird and shouldn’t be addressed. Jewel’s father suffers from this as he is Jamaican and believes in things other people are scared of, including Jewel’s mother. Jewel stands out a lot herself as she is half Jamaican, a quarter Mexican and a quarter white, this causes all kinds of problems with her assuming her own identity anyway without the town’s unhelpful gossip and gazing. I loved the diversity of the characters within this book though and thought it was an interesting take on the views of other people, the subtleties that would not be present with a white character in Jewel, her father, her Grandpa and John were interesting. The story was very much a coming of age, finding out who you are kind of story and in this case Jewel’s entire family needed to learn who they were and that they needed to change. A lot of this realisation comes later on though and for the first half of the book it is very much about the budding friendship between Jewel and John and its strange effect on her family. I loved this about the book because I needed to know what was going to happen and why he was causing such a stir. The writing in Bird is simple and yet beautiful, I found myself soaring through the pages and finding my heart breaking and rebuilding itself the entire time, and I loved it. Crystal Chan has a way with words and I loved that the faster paced the story got, the faster the writing seamed to get. There was a part in the book where Jewel is running away and the writing felt so fast paced but it worked because it meant that it reflected her running. The only thing I can say that may be slightly negative is that if you are after a young adult book this may not be what you are looking for as it is very much on the cusp of YA and middle grade. The protagonist is 12 and I think that would be the perfect age to read this book, perhaps slightly before and obviously a couple of years after but for an advanced reader I think they will breeze through it fast because the writing is quite simplistic at times – but always effective. I cannot get over how beautiful this book is, yet at the same time it doesn’t declare that beauty in itself. It is simple and effective and I think that is what I loved the most. You will laugh and you will gasp and most of all your heart will shatter but just keep reading because it will be worth it in the end. 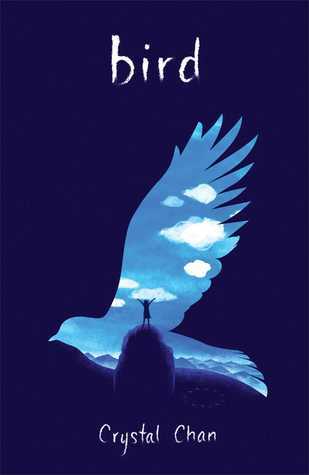 Bird was published on January 30th by Timarind Books. My copy was received from the Publishers Blogger event I attended. I’ve heard so many good things about Bird – can’t wait to read it. Lovely review!